Interesting, that's where the clock tower stands, and most of the businesses along the strip is either new or has just renovated recently. Quite a tiny plot for a 45-floor tower. Yeah I can't imagine a tower going into just 480 - I can the entire strip to Grosvenor getting redeveloped though. Not to mention the bit about "a new mixed-use 45 storey building with commercial ground floor and a total of 423 residential units". Ten units per floor (which would be the bare minimum, with the tower barely qualifying as mixed-use with that few units per floor) on that lot size would result in incredibly tiny units. I would expect at least several more building lots in addition to 480-482 Yonge -- probably all the way to Grosvenor as you say. It may be a typo on the application. It should be a range of addresses. They usually only show one address despite how many are going to be used. I think it's just a convenience address they call it. The commercial building fronting Grenville and Yonge (McDonalds as anchor tenant) is one story tall - I've been waiting for this building to develop. Across the street (Grenville) is Karma and YC. Maybe they'd develop North to Grosvenor, but South seems more likely to me. The McDonalds site is fairly sizeable, more than enough for a condo. The 484-488 buildings were renovated in the early 2000's, and the clock tower itself was cleared of pigeon poop to the tune of $60K. This building has repeatedly been featured in the Before-and-After photos of this forum. Given it's historical significance and landmark status, I suspect this component on the block would be protected. Not surprised; the owner of those buildings, who also owned 22 College where I once had an office, sold them to Canderel a few years ago. Not sure if Canderel still owns them however. That's the plan from what I heard - from 480 towards Grosvenor. Clock tower would be preserved. 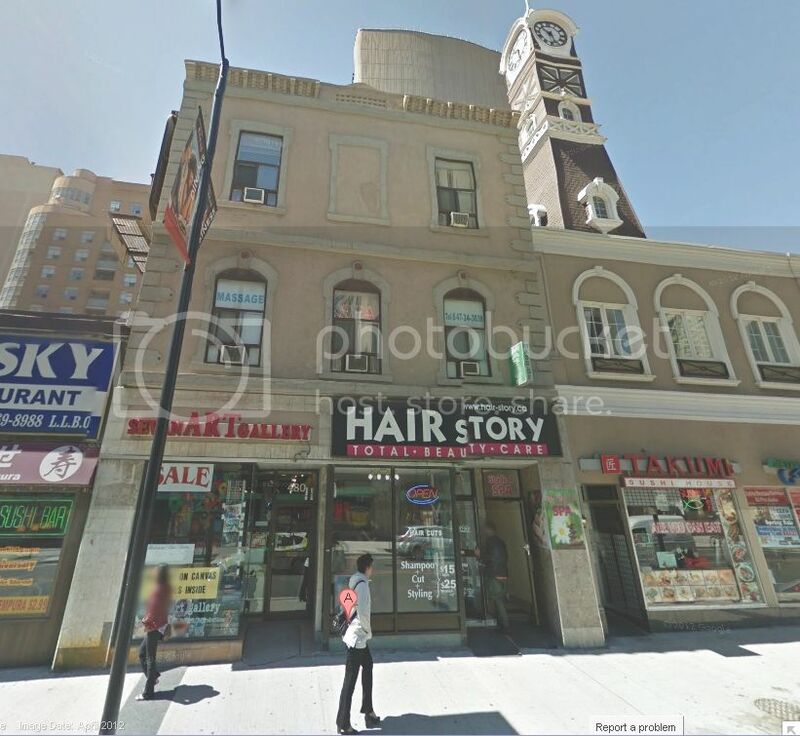 Does anybody here know if the developer is planning a "Five"-style preservation arrangement, with the tower set back from Yonge? 480 to 488 Yonge are quite handsome -- not to mention the clock tower above 484 Yonge (old Fire Hall #3, 1872), which will be preserved according to ChesterCopperpot. 490-494 Yonge have no particular architectural merit and can go, in my opinion. I believe that is the case, yes. Yeah, totally dude. Ohhh, the horrors of preservation!...what a joke. 480 to 488 Yonge are quite handsome --. unless they are bringing back the original brick facade they arent worth saving.